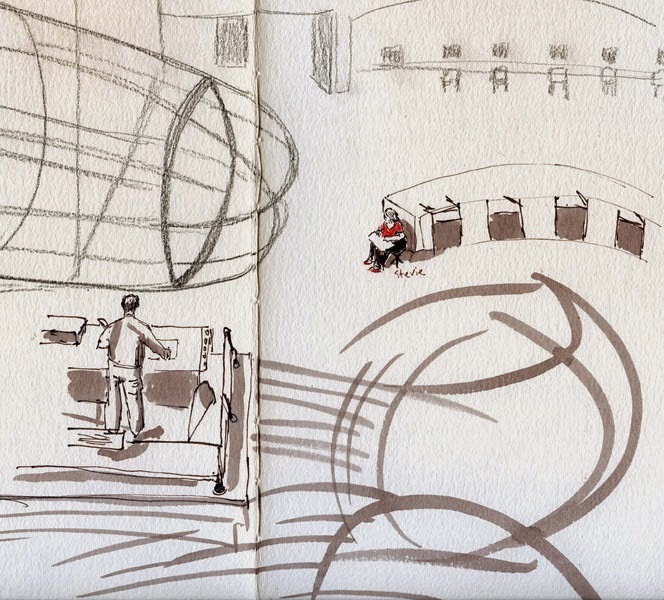 It had been ages since I visited the Washington State History Museum, so when Urban Sketchers Tacoma invited Seattle sketchers to join them this morning for a group-rate discount, I jumped at the opportunity. This museum is the kind of place where I felt torn between lingering in the exhibits to take in my native state’s rich cultural and industrial heritage – or sketch. You can probably guess which I chose, but it was a difficult choice. 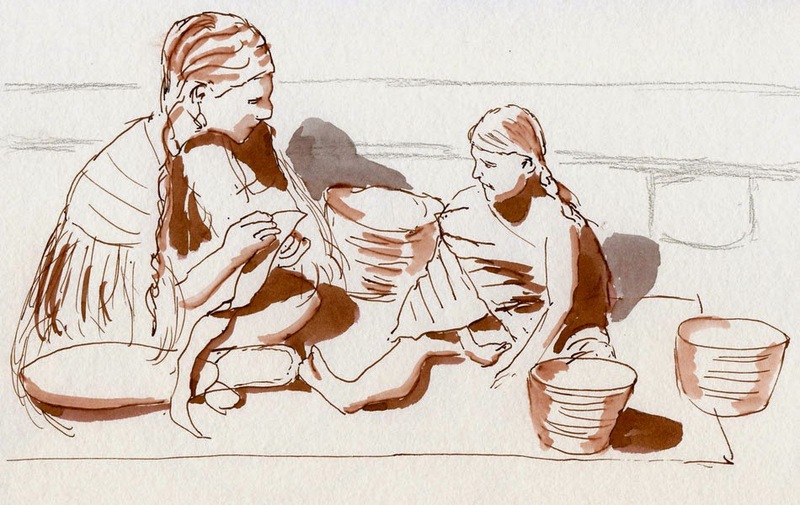 My first sketch was part of an exhibit on Native American culture – an interpretive display of a woman teaching a young girl how to basket-weave. While I sketched, I listened to the audio program about how the craft has been handed down from one generation to the next. 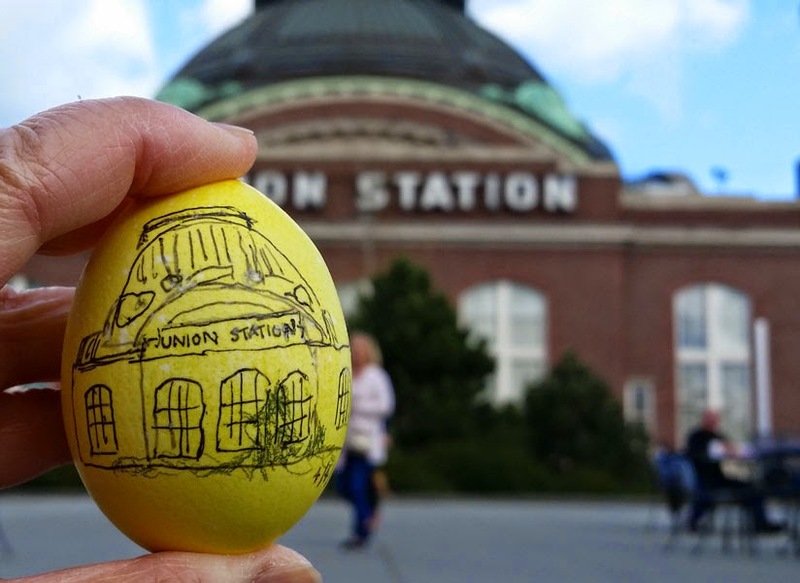 By that time the morning had warmed up a little, so I went out to do two iconic Tacoma sketches from just outside the history museum: Union Station and the Museum of Glass’s conical building. 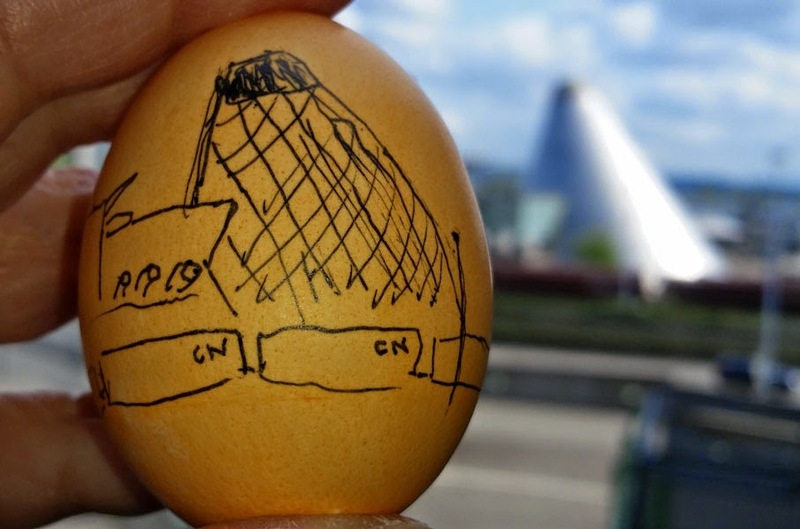 These Urban Sk-eggs took a little planning – namely, I had to bring my support materials in a cooler!